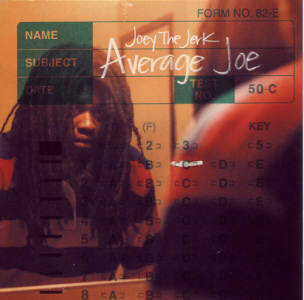 Info: Joey the Jerk released his debut album "The Average Joe" in 2003. He's part of the crew LA Symphony. On March 20th, 2008 a MySpace bulletin was send out promoting a new song on his media player. The demo track "Why" is a soft pop track showing the new musical direction of Joey. For his new album he's been co-writing wih producer Otto Price (from old DC Talk fame), Grant Harrison (John Reuben) and Matt Dally (Superchick). Joey's dream is a sublime combination of pop/fun energy, hip-hop rhythm, and acoustic flavor, tempered by an organically universal, Southern California chill vibe expressed with singer-songwriter sensibility. It's an eclectic mix that has one common denominator: Joey. At the heart of Joey's dream is the desire that God would use him, and be pleased with what he is doing musically and in his life. After the disappointment at the closing of Squint Entertainment months before the release of the L.A. Symphony's first album Call It What You Want (2001), Joey felt the need for a musical reinvention. In that moment, a new dream, joey's dream, was birthed. This dream would combine the candor and striving already characteristic in his lyrics with the full breadth of his musical influences. Music that would intrigue, exhilarate, and compel whether enjoyed on the radio in the hustle of a commute, chanted along with a full band in a packed stadium, or sung a capella face-to-face. 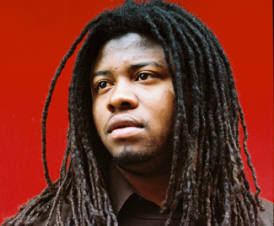 On September 15th, 2009 it was announced Joey had a new recordlabel for his solo project Illect Recordings. Sources: MySpace bulletin La Symphony: Joey's Dream (from the mind of Joey the Jerk), March 20th, 2008 ; Myspace.com/joeysdreammusic ; Illect Recordings update September 14, September 15th, 2009.